Exit Lighting Service and Maintenance should be performed annually. Although this is true you might be surprised at how many companies do not check exit lighting until someone reports that the exit light is not working or a fire marshal demands that the exit light be repaired within 3 days. Regularly scheduled exit lighting service is important due to the fact that owners of businesses and managers have to focus on running their business and sometimes exit lighting service is put on the back burner until an emergency situation occurs. Waiting to perform exit lighting service until an emergency such as a fire or power outage occurs in an unacceptable practice. As a business owner it is important to contract your fire protection company to provide exit lighting service, maintenance and inspections every time that the fire extinguishers are due to be serviced. By tying exit lighting service to the same date of fire extinguisher inspections, business owners are able to have the same company perform both services and possibly save on a trip or truck charge sometimes associated with the extra service. Also, by a qualified professional fire protection company will put the annual exit lighting service on a schedule. Having an outside company help to keep up with the date of annual exit lighting service helps to take some of the burden off of the business owner. 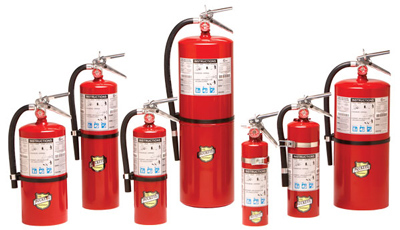 Fesco Fire Extinguisher & Safety Service Company, LLC are professionals at performing all types of fire protection services including exit lighting service on an annual basis or more frequently depending in the type of business. For exit lighting service and all your fire protection needs call us a 205-588-0800.